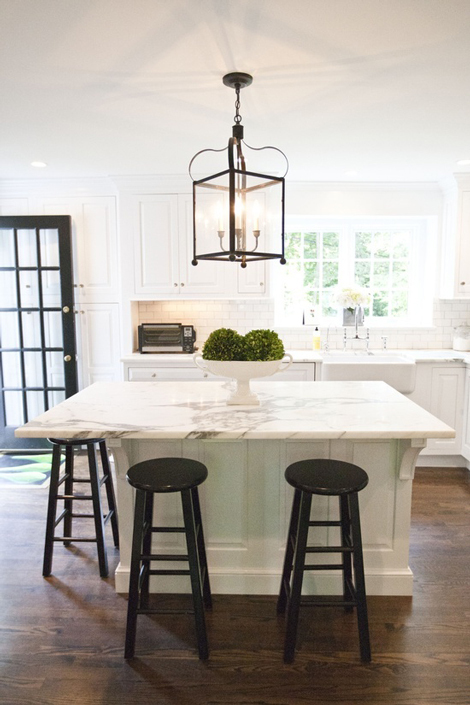 One of my current clients decided on copper lanterns to go above their kitchen island. We searched high and low for the perfect option, but couldn't seem to find exactly what we were looking for. Thankfully, one of my favorite Houston-based stores, Boxwood Interiors, custom-made the perfect pendants in a copper finish for us. I can't wait to share the finished product with you! So what's your take? 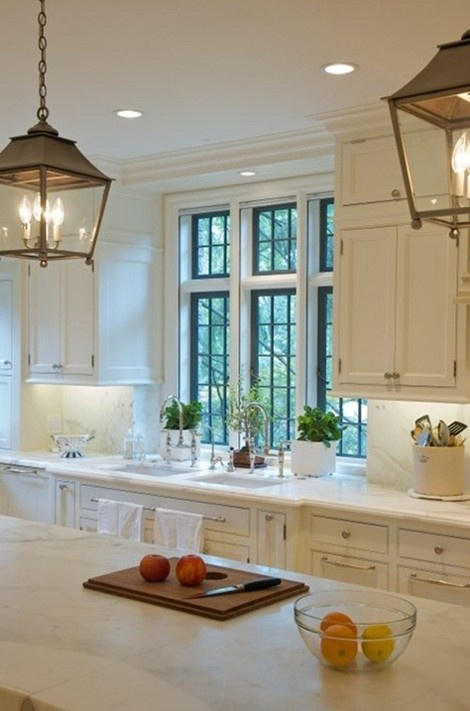 Are you a fan of lanterns, or are they too traditional for you? We did a glass-less lantern in our breakfast area and I love it. Definitely a step out of my element but so worth it! Adore lantern lighting! It's so bold and statement making without being over the top or obnoxious. Agreed! I am on the hunt for the perfect lantern to go in my entryway. My parents had one in our house growing up so I want to continue the tradition. I'm really into the painted styles I've seen. 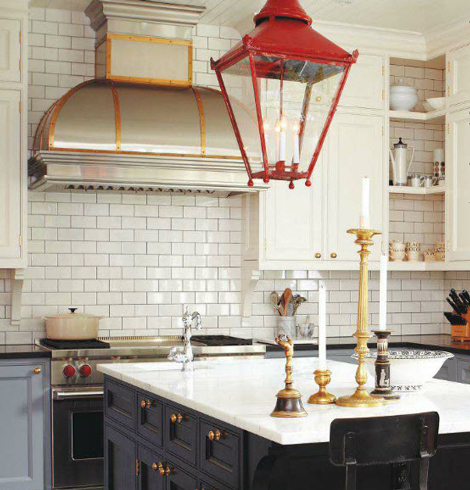 I love the idea of a painted red or yellow lantern hanging in an all white kitchen. 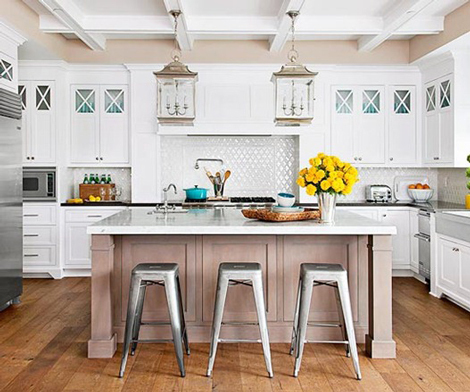 The Style at Home image you featured is just perfect! Can't go wrong with an amazing lantern. The one you are having made sounds fab!! Lanterns always remind me of Northeast style. So classic and a lovely touch! Happy Wednesday Sam! I really like the oversized kind, every time I see one I think where it can go! Love a good lantern! I desperately need one in my kitchen very soon!! I couldn't agree more! I love the classics and the lantern lighting options definitely are! They are great additions to a house. 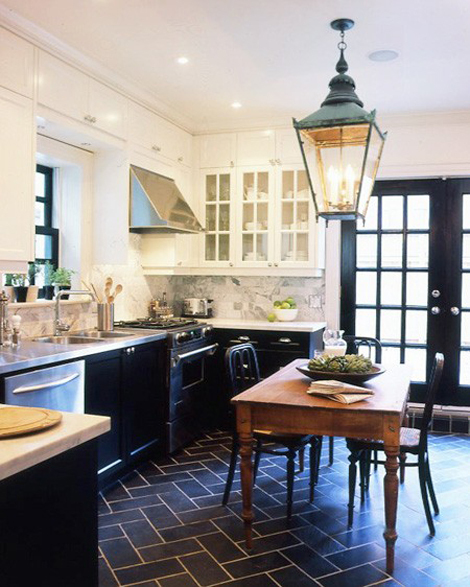 I just posted about this not too long ago...and I adore or maybe I should say obsess over lantern lighting! It's so versatile and can be placed in any room! Love all of your inspiration pics! I'm looking for a lantern light for my balcony! They do add a wonderful touch to the kitchen. A throwback that is fresh and modern. Love these! It's a nice break from the typical foyers and front doors. The copper sounds beautiful, I can't wait for pics! TOTALLY with you on that one. I need some lantern love in my (next) house. Going gaga over lanterns! Just put a bunch of them into my residential thesis class final project! Yeah lighting decorate in room is the really good one. Just to know the design of lights for home & event decorate so please suggest me. 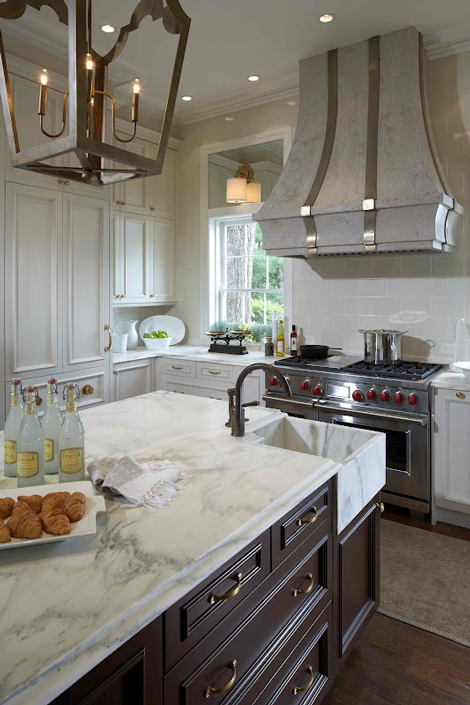 If you want to take the design of classic lighting having some features then just touch on that.